As detailed paper products can be designed, the machine platforms of Imatec can produce them in high speed. This is proven in all kinds of variation of booklets, but can also be put in use for other paper and cardboard products. 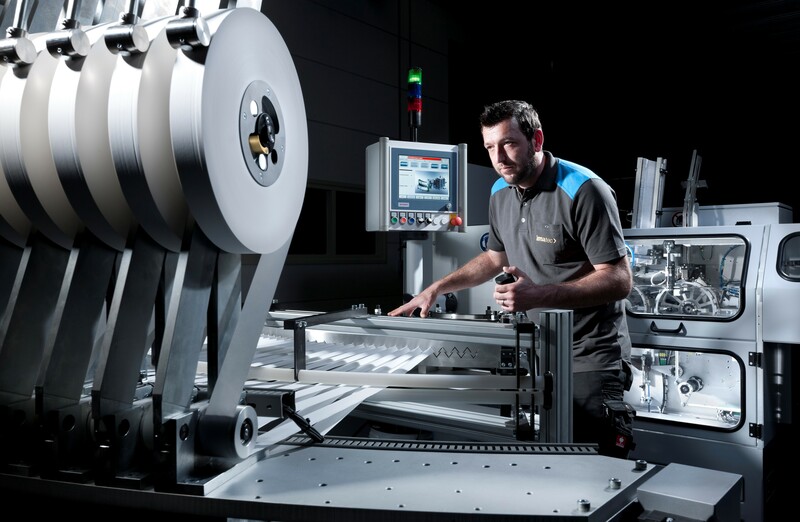 The RYO Booklet machine of IMAtec is able to cut rolling papers, fold the booklets and place the booklets in a cardboard – that is also folded by the platform. All kinds of variances on the rolling papers and booklets can be implemented. Think of cutting out corners in the rolling paper, placing extra materials or prints on and in the booklet. Every booklet producer can make its own brand stand out from others. Imatec is located in Luxembourg, but international oriented. Customers can be found from Asia to North and South America. Employees come from all over Europe, to contribute to the innovations IMAtec is deploying. Imatec is a growing company, with more than fifty employees, today. As part of an international group of companies, it does not only develop complete machine platforms. With its paper and cardboard expertise Imatec also contributes to the innovations of the other group companies.